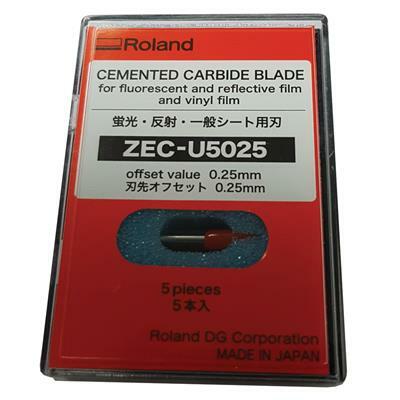 The high-performance Cemented carbide blade is used for cutting standard thickness materials. Excellent for general purpose signage and apparel substrates. 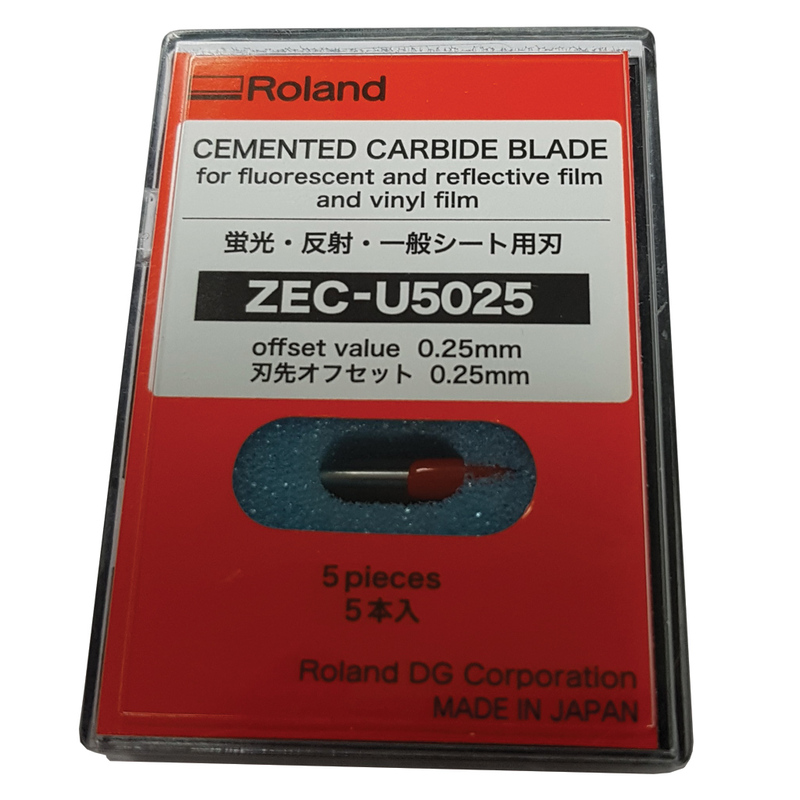 The Roland part number ZEC-U5025 is compatible with all Roland vinyl cutters and printer/cutters.